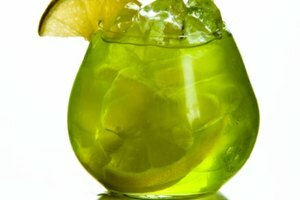 Everyone has a favorite cocktail, and a good number of people stock the main ingredients in their home so they can indulge whenever they desire. This means choosing at least one bottle of liquor to keep on hand. At heart, almost every cocktail includes some hard liquor plus additions to the flavor, but that liquor variety will determine the flavor and attitude of the eventual drinks that get served. 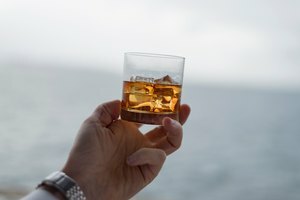 The common types of hard liquor that people keep in a home bar vary in origin from the United States to halfway around the world, but each of them is made in the same basic way. The flavor depends on the ingredients and the way the liquor is stored. From Where Does Good Alcohol Come? All cocktail recipes include a source of alcohol and some other ingredients meant for flavoring. 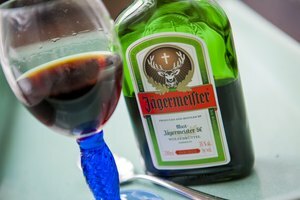 In most mixed drinks, the alcohol in the recipe comes from hard liquor. Liquor is a beverage created by first fermenting something and then distilling it. These two different chemical reactions are how you turn plain foods (either fruits, vegetables or grains) into alcoholic beverages. Fermentation happens when bacteria grow in certain foods. These bacteria feed on the glucose in the food and give off certain chemicals as a waste product. Sometimes, this waste product is alcohol, as when the bacteria feeds on fruit, honey or grain. Once the chosen substance has been fermented, the resulting liquid is sent through a distilling process. Distilling separates alcohol from water, turning the original liquid into a much stronger version of itself. Take away the water, and the resulting liquid is a concentrated alcoholic drink. This is likely where the phrase "hard liquor" comes from. The liquid left after distillation contains more of the "hard stuff," or alcohol, than it did before it was distilled. "Spirits" is another name for liquor, although it's an old-fashioned one begun in the early days of distillation science. Maybe you want to be able to entertain friends and colleagues and need to set up a full bar in your home. Maybe you want to educate yourself about some of the finer things in life, and learning about liquor is on your agenda. In either case, there are dozens of different liquors that could legitimately be on your list for approval. You'll find a lot of common ingredients needed for the most popular cocktails, such as vermouth for martini lovers, but these six basic ingredients make up the foundation of any well-stocked bar. Gin has always been a perennial favorite, but it goes in and out of favor frequently when more trendy ingredients top the drink charts. 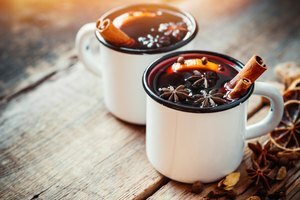 Its charm is rising again these days, likely because a lot of manufacturers are experimenting with changing its flavor with different trendy botanicals. Gin is a clear alcohol with the advantage that it won't change a drink's color, but what makes gin so distinct is the flavor brought to it by those same botanicals. Gin always begins by distilling the fermented mash from grain or malt, but it's absolutely crucial for gin to be flavored with juniper berries. Other ingredients, such as lemon peel, fennel or grapefruit, can add a subtle twist to the flavor, but without the juniper berries, the spirit can't technically be considered gin at all. The most common variety of gin is London Dry gin, which is generally considered the best type to use, but don't follow that rule without investigating other types yourself. You'll find many fine gins on the shelf that aren't labeled London Dry gin. Regardless, all gins have to have a minimum alcohol by volume, or ABV, of 37.5 percent, but you can find even stronger ones easily. There's an old Russian saying about vodka: "It's sunshine in the stomach!" While this may have been true for many a cold Russian throughout history, vodka's origin more likely began in Poland before traveling east. Vodka is classified as a clear spirit with a neutral flavor. It's supposed to have no taste, no smell and no color at all. In actuality, experienced vodka drinkers can determine the difference between brands because of their subtle differences in flavor. Some have a peppery bite, some have a hint of citrus and others can taste almost creamy. Subtle flavors notwithstanding, vodka is still the most neutral and flavorless of all the hard liquors. This makes it a premier choice for flavored cocktails since it won't change the taste of any of the other drink ingredients. Since vodka tends to mix well with almost any other ingredient, it has become a worldwide favorite with those who like creating inventive mixed drinks. In most cases, vodka is made from grains or potatoes, but that's not always the case. It can technically be made from any sort of natural product. For example, Ciroc vodka is made from fermented and distilled grapes. As long as the resulting liquid is clear, tasteless and odorless and tests out at about 40 percent ABV, it can be sold as vodka. Rum has an adventurous history that includes pirates, sailors and ships on the high seas. While a lot of rum's history might be categorized as myth, the romance still remains. Rum is a spirit that's distilled from molasses or sugar cane and is often aged in wooden barrels. Because it's made and aged in warm, tropical climates, it can mature faster in the barrel than other spirits. If you think about it, a 12-year-old rum is a much higher quality spirit than a 12-year-old whiskey, all things being equal. Of course, the same could be said for a whiskey aged in a tropical climate. It's all about where the spirit is aged. In general, you'll find four different types of rum from which to choose. Each offers a different look and flavor profile for mixed drinks and straight imbibing. White rum is clear and has the mildest flavor of all the rum varieties. It's a popular choice for well-known cocktails like mojitos. Medium-bodied dark rum is golden in color with a more distinct flavor. The color and flavor can be due to aging, but it's generally because the distiller has added molasses or caramel to the mix. Full-bodied dark rum is even darker in color. Most of the time this is due to longer aging in the barrel, although molasses or caramel can be part of the reason. 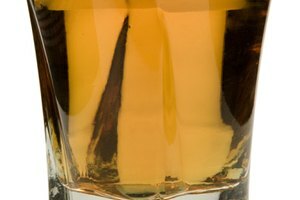 Spiced rum is flavored with different spices for a distinct flavor. Some of the more common additives are pepper, anise and cinnamon. Whiskey is the most complex spirit on this list, and that's not only because of its name. That first confusion can be cleared up by knowing two things: Countries that have the letter "e" in their name, like Ireland and America, spell whiskey with an "e." Those countries without an "e" in their name, such as Japan or Canada, spell the drink "whisky." Whiskey is a spirit that's always distilled from fermented grains. What makes it different from vodka is the fact that it's aged in wooden barrels for some time after being distilled. The wood in these barrels adds scents, flavors and colors to the whiskey. Whiskey is made around the world, and every country has its own rules and regulations about what constitutes an official whiskey. In general, there are four basic types of whiskey you'll find behind any bar: Scotch, Irish whiskey, bourbon and American rye whiskey. Scotch comes from Scotland, obviously, and it is made from malted barley. For a spirit to be called Scotch, it must have been made in Scotland, and it must have been aged there in wooden barrels for at least three years before bottling. Whiskey matures in the barrel, not in the bottle like wine, so the longer the spirit stays in the barrel, the higher quality it is in general. Irish whiskey is created in Ireland and can be made from malted or unmalted barley. The biggest difference between this and Scotch is that Irish whiskey is meant to be a smoother and cleaner drink. They're very easy to imbibe, but they don't carry as much complex flavor. Bourbon is made in America and is usually made from corn. American whiskeys are generally made of a mixture of grains such as corn, rye, barley and wheat, put together in a mixture called a mash. In order for a drink to be labeled as bourbon, it must contain at least 51 percent of corn in the mix. It's also required that the spirit spend time aging in new charred-oak barrels, and it must be bottled at around 40 percent ABV. As its name implies, American rye whiskey is made primarily from the grain rye. Like bourbon, rye whiskey must have at least 51 percent rye grain in the mash, must age in the same type of barrels and must have an ABV of around 40 percent. What makes rye whiskey different is the special flavor the rye grain gives it – almost a peppery or spicy taste. Unlike the common view of those who spent their college years drinking cheap tequila shooters, not all tequilas are harsh and inexpensive spirits. In fact, the best of them are meant to be savored and sipped like a fine Scotch. Tequila is made by first fermenting the juice of the blue agave plant, which is native to Mexico. It must be produced by one of the five official tequila-producing states in Mexico, including Jalisco, Michoacan, Guanajuato, Nayarit and Tamaulipas. The two basic types of tequila are mixto, which can be made from a mixture of products, and 100 percent blue agave tequila, which is invariably the best tequila available. You're least likely to use brandy when mixing cocktails, but it's an important spirit to add to your shelf. Brandy is made by distilling a fermented fruit drink. It can technically be made from any fermented fruit, but it's almost always created using grapes. In essence, brandy is distilled wine. Once the distilling process is finished, the brandy is aged in wooden casks to give it flavor, aromas and texture. Any brandy worth drinking will have an age statement attached, and some of the best have been aged for decades. Some of the best-known brandies in the world are made in France, including Cognac and Armagnac. The French also produce an unusual brandy made from apples known as Calvados.